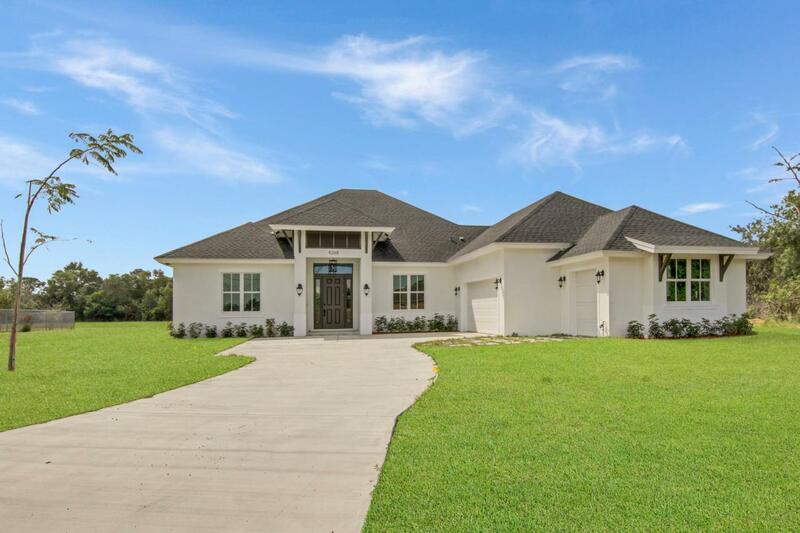 Enjoy end of the road privacy as you enter this light, bright open floorpan, newly constructed home! This is the one of a kind property that you have been waiting for. Designed by Architectural Group Caceres &mPiazza in West Palm Beach. The tall 12 foot ceilings creates a majestic environment that allows plenty of space for entertainment and the location allows space to escape from the daily hustle and bustle. All the rooms are very spacious, each room has a unique view. The spa-like master bathroom offers tranquility. The sliding doors from the master suite and great room extends your living space to the outdoors. This property has already been permitted to add a pool. The additional golf cart storage allows plenty storage space for your daily activities. Listing provided courtesy of Gulfstream Properties Inc.